As health apps enter medical mainstream is there a way to bring some order? Mental health to trauma, what are the unimaginable costs of sexual assault? In 2016, a tiny startup announced an experiment that seemed equal parts medieval sorcery and science fiction: It would inject older people with the blood plasma of young donors in a bid to slow aging. For three years, Ambrosia Chief Executive Officer Jesse Karmazin charged patients $8,000 to infuse one liter of plasma as part of an unorthodox, crowd-funded clinical trial. Karmazin promised extraordinary results—going so far as to proclaim in media interviews that his treatment “comes pretty close” to immortality. Last week, the U.S. Food and Drug Administration poured cold water on his improbable dream. The regulator, echoing individual medical experts, issued a warning saying the treatment’s benefits are unproven and that the practice could be harmful. 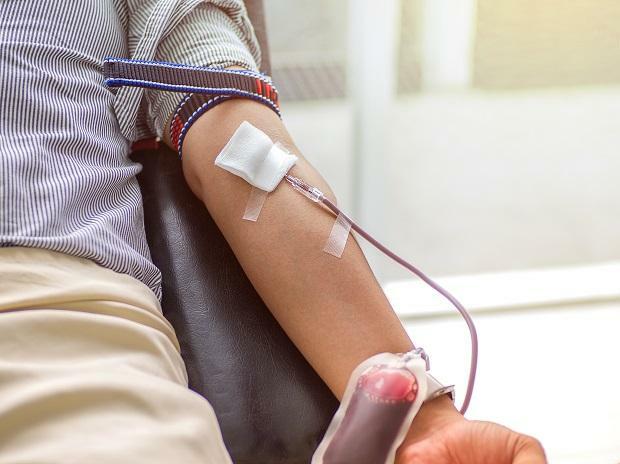 “We’re concerned that some patients are being preyed upon by unscrupulous actors touting treatments of plasma from young donors as cures and remedies,” the FDA said, without naming any companies or individuals. Ambrosia—named after the mythical food that conferred immortality on Greek gods—announced soon after that it was ceasing all treatments. Karmazin hasn’t responded to repeated requests for comment since the FDA announcement. Last month, as he planned to open infusion clinics in New York and elsewhere, he explained to Bloomberg the provenance of his startup and his hopes for success. But now that the federal government has gotten involved, his dream may instead seem like a cautionary tale—one in which America’s perpetual obsessions of youth and technology joined together for one fantastical, and ultimately doomed, moment. Testing whether young plasma can breathe new life into older patients is fairly unremarkable in the medical world. Scientists have been running controlled anti-aging and rejuvenation tests for a century—but on rodents, not people. For 150 years, scientists have been stitching together old mice and young mice to allow their blood to pump through each other’s veins. The practice, called parabiosis, often resulted in lab rats contracting infections and dying, and in the 1970s it was largely discarded. But advances over the past 15 years have revived the technique. Nowadays, parabiosis pairs are sniffing around cages in university laboratories across America. Some studies purport to show the blood of young mice having rejuvenated the aging organs of older mice, making them stronger, smarter and healthier. It has even made their fur shinier, other researchers have claimed. Dr. Gurpreet Baht of Duke University’s Molecular Physiology Institute said he is working with four parabiosis pairs he personally sewed together. He said his research found that fresh blood circulation made the older mice’s blood cells “really act young again,” even healing bone fractures faster than normal. But he was dismissive when it came to claims related to humans. “We’re still at the level of mouse models,” Baht said. “I don’t think the information is out there for humans. Humans are more complicated.”In 2014, Dr. Saul Villeda of the University of California, San Francisco, led a study in which the blood plasma of three-month old mice was injected into 18-month-old mice (a mouse’s lifespan is about 2 years). Villeda said the older mice performed significantly better after the infusion. But experts regularly emphasize that, in medical testing, mice and humans are decidedly not the same.Karmazin had just graduated from Stanford University Medical School around the time Villeda’s study was published. Originally from Palm Beach Gardens, Florida, Karmazin said he had long been interested in the “often overlooked” field of aging. Karmazin, 34, wasn’t able to practice medicine because he hadn’t completed his residency. Instead, he said he partnered with physicians in California and Florida who agreed to perform plasma infusions at their own clinics. Karmazin said he provided them with plasma from donors under the age of 25, purchased from blood banks. In his interview with Bloomberg, Karmazin said he had treated 150 patients. Their blood was tested in the days before the treatment and one month after it, allowing a comparison of biomarkers. He said he found precancerous cells and amyloids, which indicate Alzheimer’s, had fallen by up to 20 percent post-treatment. He provided no evidence to support the claim. Karmazin said plasma recipients with Alzheimer’s were “doing their finances again” and others with “severe heart disease” were able to run up stairs. He didn’t provide any evidence for those claims, either. Karmazin said he planned to publish the results once they were peer-reviewed, but didn’t say where, or who was doing the reviewing. One 62-year-old from southern California said in a telephone interview arranged by Karmazin that he had been receiving infusions for more than a year. He is only the second person to speak publicly about his treatment by Ambrosia. The man, a mathematician who requested anonymity to protect his medical privacy, said a motorcycle accident in 2011 had left him partially paralyzed. After the infusions, he said he could sleep through the night again and generally felt better. Leading researchers in the regenerative medicine field strenuously reject Ambrosia’s premise. “Those [mice] studies don’t provide a scientific basis for what Ambrosia is offering,” said Dr. Amy Wagers, co-chair ofthe Harvard Department of Stem Cell and Regenerative Biology. Parabiosis conjoins an entire organ system, whereas plasma infusion is just one element, she said. Such trials are completed in controlled environments and governed in part by federal guidelines. Companies must meet a set of standards before making any health claims. However, Karmazin didn’t need the FDA to approve his trial because he was offering a pre-approved procedure—a basic blood infusion—as an off-label treatment. Still, he sought approval from the Institute of Regenerative and Cellular Medicine’s Institutional Review Board (IRB), an independent group which determines whether a study on human subjects is ethical. The possibility of human longevity has been a popular hobby in Silicon Valley. Billionaire tech entrepreneurs such as Peter Thiel, Y Combinator president Sam Altman and Tesla CEO Elon Musk have been pouring money into bio-engineering startups. The tech industry’s desire to cheat death was even lampooned in a 2017 episode of HBO’s “Silicon Valley.” It showcased human-to-human parabiosis, with a young “blood boy” directly transfusing his blood into a wealthy, aging recipient. Despite the obvious appetite for holy grail startups, when Karmazin came knocking, venture capital firms didn’t answer. “It’s been somewhat difficult to raise money,” he said. “I’ve talked with a number of potential investors, but we haven’t raised money at this point.” He blamed it on people being “squeamish” about blood. As 2019 began, Karmazin said he was excited for the future. He described plans to open a clinic in New York because it’s an “affluent place where people can afford it,” and possibly Texas and Ohio soon after. Then the FDA weighed in. This comes as a relief to Dr. Irina Conboy, a rejuvenation researcher at the University of California, Berkeley. She said she’s had concerns about Ambrosia for years. Plasma infusion is only reserved for life-threatening situations, Conboy said, because it can trigger serious side effects, such as allergic reactions, circulatory overload, lung injury and infectious disease transmission. In 2016, she published a paper on mice-to-mice blood transfusions. She said Karmazin called her office, leaving a voicemailmessage to say how much he enjoyed her research and that it fell into line with the treatment he was providing at Ambrosia. Inthe message, she said he asked if they could work together. Conboy said she never returned his call. For Conboy, the most frustrating part of the Ambrosia saga is that it tarnishes the area of regenerative medicine, where she said scientists are on the brink of ground-breaking discoveries that could truly help ailing elderly patients.